Description: Wild World of Possibilities! The kooky critters of Animal Crossing are back, and thanks to the Nintendo Wi-Fi Connection their world just got a whole lot bigger. 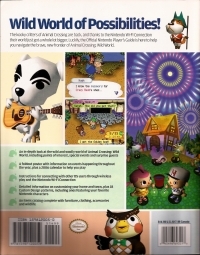 Luckily, the Official Nintendo Player's Guide is here to help you navigate the brave, new frontier of Animal Crossing: Wild World! 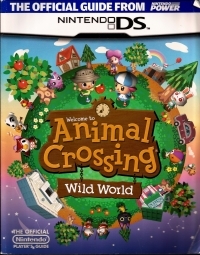 This is a list of VGCollect users who have Animal Crossing: Wild World - The Official Nintendo Player's Guide in their Collection. This is a list of VGCollect users who have Animal Crossing: Wild World - The Official Nintendo Player's Guide in their Sell List. This is a list of VGCollect users who have Animal Crossing: Wild World - The Official Nintendo Player's Guide in their Wish List.